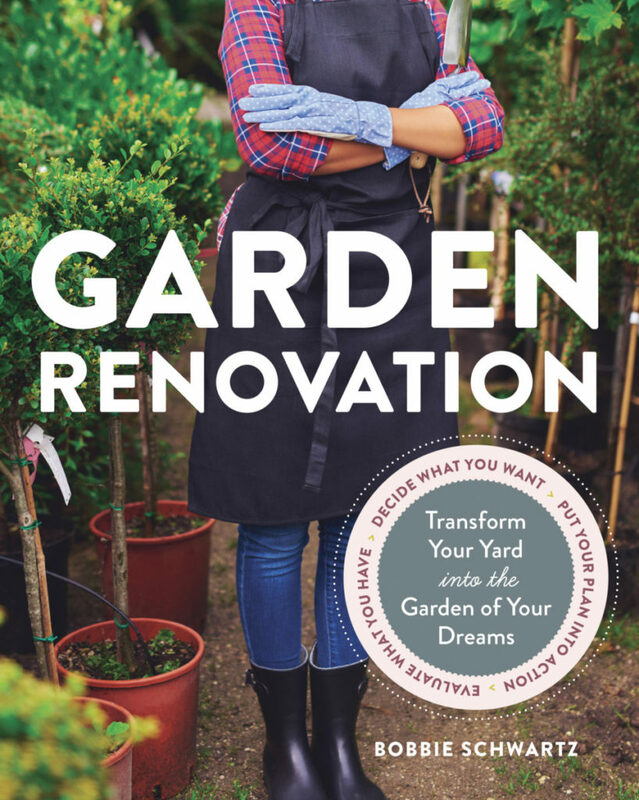 Gardens, just like houses, sometimes need makeovers. The changes can be as minor as replacing a shrub or as major as pulling everything up and starting from scratch. No matter the size of the space or the scope of the project, the sage advice in Garden Renovation will help turn a problem-filled yard into a paradise. Bobbie Schwartz draws on her years of experience as a garden designer to teach homeowners how to evaluate the plants and features present in their yards, determine what to keep and what to remove, choose the right plants and design plans for successful remodels, and how to know when to hire help. A gallery of before-and-after photos provides ideas and inspiration for turning a tired garden into an enlivening retreat. Available in paperback for $24.95. Books can be ordered from Amazon.com, Barnes and Noble, Appletree Books, Loganberry Books, Fireside Books, or any other independent bookstore. If you would like an autographed copy, Bobbie has books for sale and can autograph them before mailing to you. Just send a check for $28.90 which includes the shipping and handling. Use the Contact section of her website, www.bgthumb.com, to order.